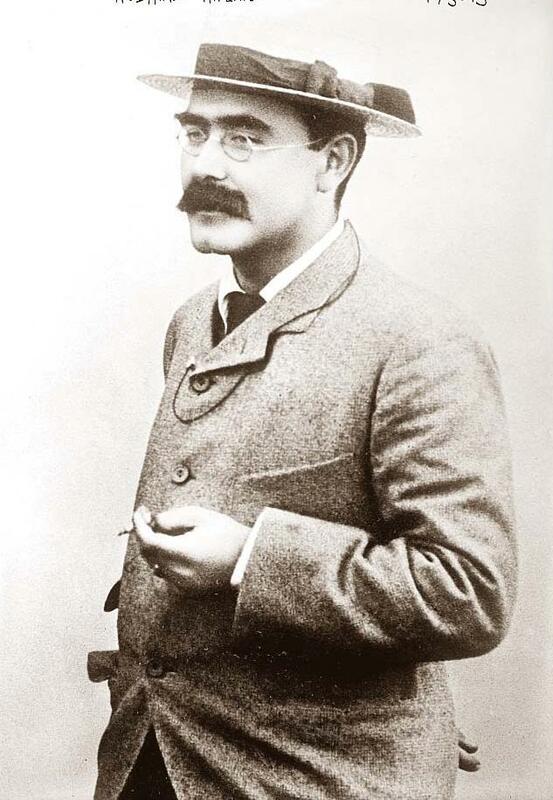 I’ve spoken out before this in favor of Rudyard Kipling; one of late-19th century Britain’s literary giants who has, alas, fallen somewhat out of fashion these days. His major crime, as far as I’ve been able to discern, is being a man’s man who grew up without the benefit of political correctness. Admittedly, most of my fondness for Kipling stems from Stalky & Co., a vaguely autobiographical account of his public school career, very much in the spirit of Tom Brown, though rather more fun. I haven’t read too much of his other work — just dabbled a bit with Plain Tales from the Hills. Oh, and of course I had Just So Stories when I was a tot. 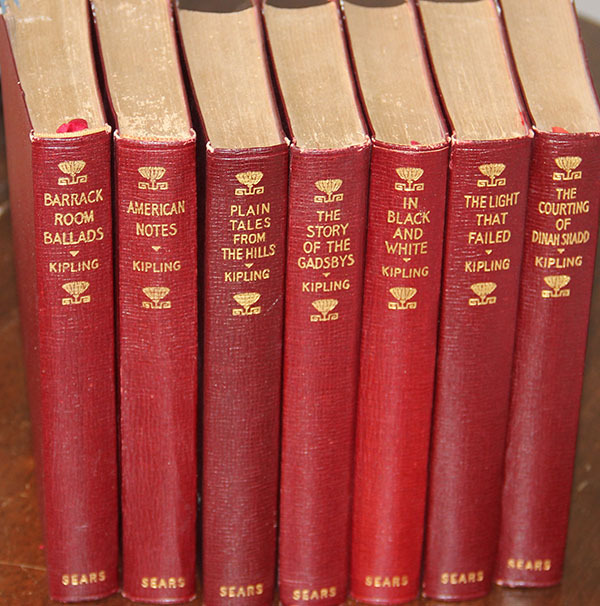 But I’ve always meant to explore further, so you can imagine I jumped at the chance to acquire 7 matching volumes of assorted Kipling this afternoon at Phoenix Books in San Luis Obispo. I love the edition — it’s undated, but I’m guessing 1910s or 20s. The publisher is J. H. Sears & Company, New York. 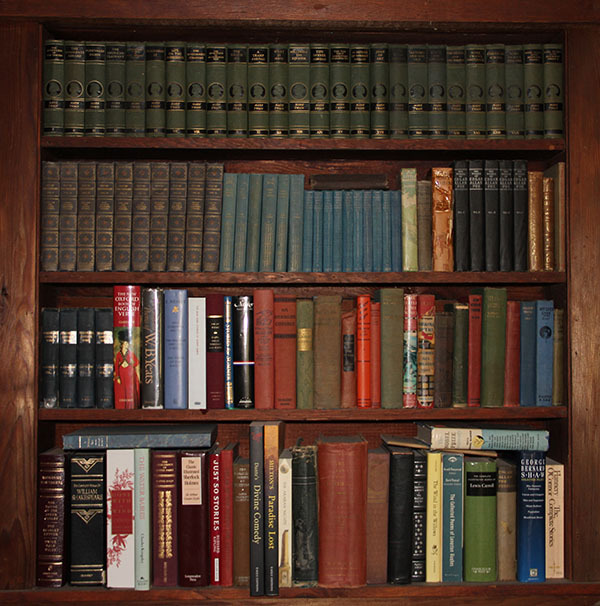 They’re perfect for our 1920s redwood living room, and I couldn’t wait to see them next to J. M. Barrie on our “aren’t these bindings pretty shelf.” Alas, there doesn’t seem to be any room left. Perhaps some of the less decorative volumes will be willing to make way, though I’m not sure where they’ll go either — we seem to have books stashed in every little hidey-hole you can imagine. I have been conducting an informal survey lately, to see how many of my acquaintance are familiar with the works of Rudyard Kipling, most particularly his “Stalky” stories. So far, the results have not been very encouraging for the Pukka Sahib. Most know who he was, but few have read any of his works — poetry or prose — and none have even heard of Stalky & Co. So I have decided that the world is in great need of more Rudyard Kipling. If you’re young, or possess a fanciful bent, I recommend Kipling’s Just So Stories. If you haven’t much time to read these days, try grazing your way through the short stories in Plain Tales from the Hills. But for real, pure enjoyment, find a copy of Stalky & Co.
Of course, reading Kipling requires more than a little tolerance. One might characterize him as a misogynistic, xenophobic imperialist. I find his humor makes up for his politics, and his talent for storytelling takes care of the rest. After all, we are talking about the fin de siècle British army…I particularly appreciate my recent re-readings of Kipling since my foray into T.E. 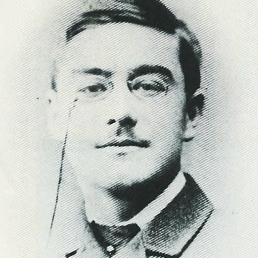 Lawrence (aka Lawrence of Arabia), who wrote in Seven Pillars of Wisdom, “Some of the speed and secrecy of our victory…might perhaps be ascribed to…the rare feature that from end to end of it there was nothing female in the Arab movement, but the camels.” Of course Kipling writes about India, not Arabia, but the attitudes are quite similar. You limping lump o’ brick-dust, Gunga Din! 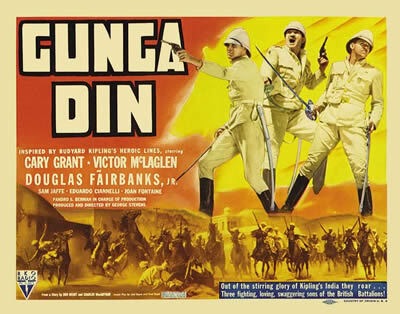 “I ‘ope you liked your drink,” sez Gunga Din.